When I started blogging more regularly I had to start wading through quite a few emails from companies asking me to review their product, or that they wanted to feature my blog on their site, etc. Most of them were not the types of businesses I wanted to work with and a couple were outright frauds, but I received a very entertaining email from a guy named Adam Meyer, who is a marketing guy for The Bouqs flower company. Of course like any other offer I get I research the company, and the more I researched, the more I liked. First of all I found this very entertaining video, and anything that entertains me scores big points! The email was also very clever and entertaining…more points. But the real points were earned when I read about their company. The Bouqs is a company that was started because ordering flowers online is not always what it appears to be. Prices start out okay, but skyrocket when you add in shipping and the cost of the vase? Seriously I don’t need any more vases. I usually end up giving them away. Why pay for something I give away? For most of them the starting prices are around 40.00…..and can go way up from there. When the flowers arrive they are dead or wilted and don’t last a long time. The Bouqs is different. Prices start at $40.00, but that is THE price! 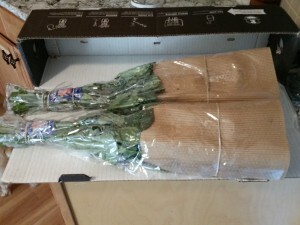 FREE shipping with weekday deliveries in the United States, and the BEST part for me was that the flowers are cut and shipped within a day of cutting So they don’t come from a refrigerated warehouse. They come from the farm on the side of a volcano! Yes, I said volcano. AND the farms are Eco friendly and sustainable. I did not see that they are “fair trade” farms, but when I googled the farm my flowers came from I was equally impressed with it. They are certified with the Rainforest Alliance, which is an “international nonprofit organization that works to conserve biodiversity and ensure sustainable livelihoods” Way to go The Bouqs!! I love who you do business with!! My flowers were shipped from Fiorentina flowers in Ecuador. They have a Fiorentina Flowers Facebook page, as does The Bouqs. So back to the flowers. so pretty. Just like the picture from the website! I counted 27 roses in all! The leaves were in good shape, as were the flowers. They had a nice fragrance, and I loved the flowers that were shipped with them as an “accent” flower. So pretty! 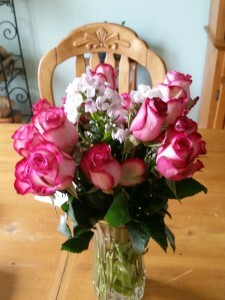 I was very pleased with the quality of the flowers, the ease in purchasing them and the price of $40.00 !! The flowers lasted about 9 days. Although to be honest if I had changed the water in the vases they may have lasted longer. I just put them in the composter this morning. They arrived on 5 September. Not bad for $40.00. Of course I did get mine for free, but if I had paid the $40.00 I would still have been satisfied! Please check out The Bouqs! Great company doing business with eco-friendly sustainable farms in South America! I highly recommend them!!! To get to their website just click on the Bouq on my website. And for transparency for every click through and order, I receive a check from them as The Bouqs affiliate!!! So thanks for that and I am sure you will love your flowers as much as we did! Disclosure: My Bouq was received for review purposes. No compensation was received for this post and all opinions are my own. I think the Bouqs roses are the bomb. Reasonably priced. I have sent probably 6 or 7 bouquets now and EVERY TIME I get positive comments. Their customer service is incredible, too, especially in these days of shrinking violet companies…no pun intended. Highly recommend it! I tried to “yelp” them but couldn’t find it. I have ordered from the bouqs on two occasions, my girlfriends birthday last year and again this year. 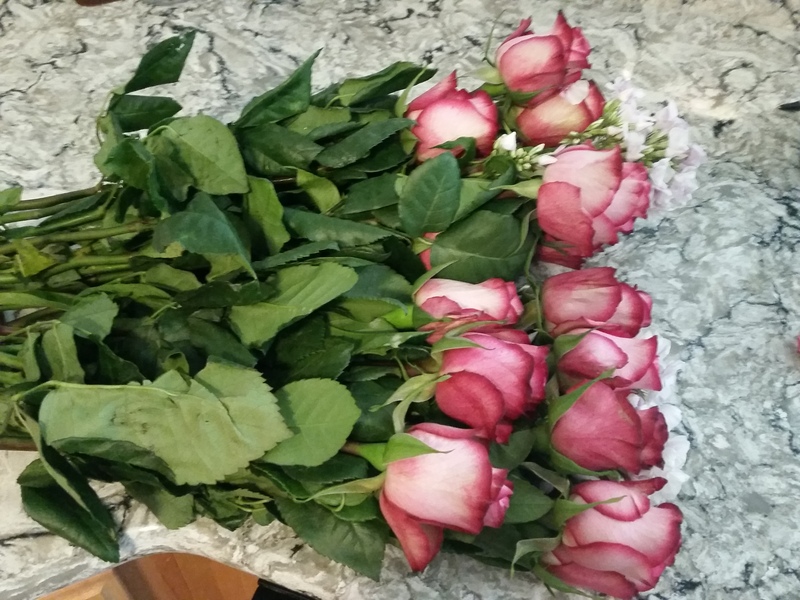 I was extremely happy with last years bouquet of three dozen roses, so happy in fact that I ordered again this year, three dozen roses. Last years order lasted more than two weeks and my girlfriend loved ever moment of them. This year was a disaster. 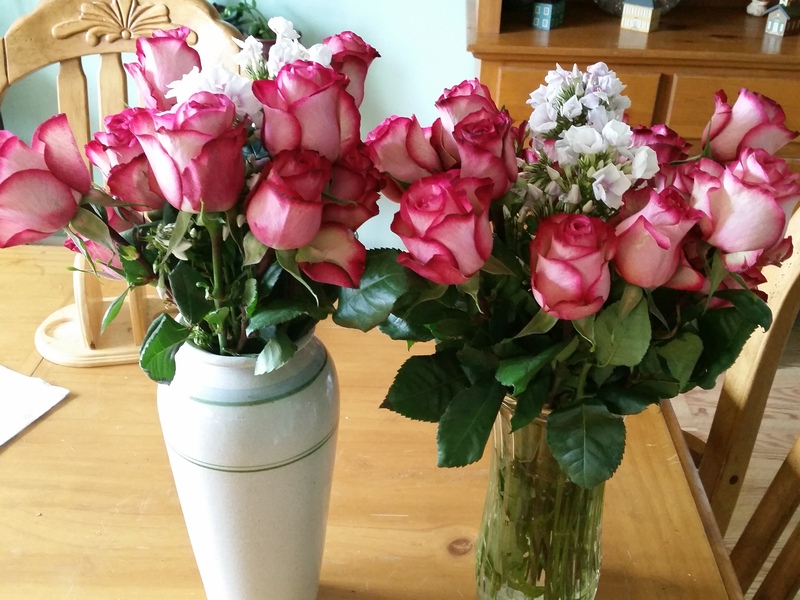 It was so bad in fact that my girlfriend didn’t even want to tell me, the roses didn’t make it even 48 hours. The company was nice, they gave me a credit but that credit doesn’t make up for lost opportunity. If I had ordered from a local florist chances are they could have replaced the flowers that day or the next. I’m afraid to order from the bouqs again but don’t have much of choice. I prefer to do my gambling in a casino. 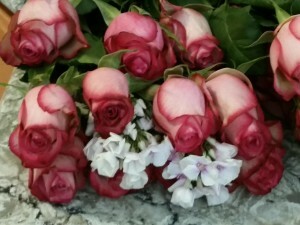 I ordered a bouquet for Mother’s Day a week ago, and The Bouqs sent me a last minute email to say they are unable to deliver due to a “logistical error.” Missing Mother’s Day is the one time fatal mistake afforded a company that sells flowers. I ordered flowers for Mother’s Day and received an email on Friday night that the flowers would not be delivered on time. I was very upset as I had to spend $60 to send flowers and pay for delivery last minute on Mother’s day, but was somewhat placated when I received an email apologizing profusely and offered a $50 credit to my account. 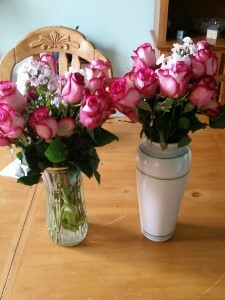 I used that credit to purchase flowers for my fiance’s mother, whose birthday is this week. However, the next day, the bouqs had charged my paypal account for the $50 flowers, instead of using my credit!! I was astonished that this company, in both of my interactions with them, had made *another* error, but figured it would be easily remedied. NOPE. I emailed them asking to take the charge off my account and use my credit instead, but their customer service REFUSED saying they could not reverse the charge because it had already been shipped. WHAT?! How is it my fault that you made an error and didn’t use my credit? I am waiting to hear back from a supervisor, hoping that clearer heads will prevail, and am considering filing a complaint with the BBB. This is ridiculous. I never would have purchased flowers with this company if I didn’t have a credit, and I am EXTREMELY upset to be out $50. I tried Bouq’s instead of my standard Pro Flowers. Order was erased. Customer service had to phone to place entire order again. The site wouldn’t take my credit card. It went through for customer service rep finally. This entire process took one hr. My recipient couldn’t be available for delivery which was still one week away. I contacted to push back one day only to learn that once order is placed delivery date may not be changed. Mind you, the delivery was still a week away. Tried to track my delivery today only to find that my acct. shows no order history. To contact customer service you type in your request and they contact you back. There is no automatic response to your email. Overstock.com has the best customer service and Bouq’s should learn from them. 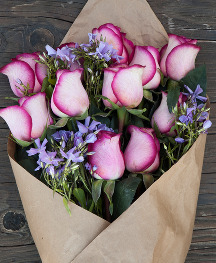 At this point I am not impressed by their customer service set up, their website has glitches that make ordering extremely difficult, time consuming, and frustrating…..
As of this moment I have spent $50 for a bouquet of flowers that are not trackable. I give up!!! I ordered a “GRAND” bouquet that promised “36 stems”. When my colleague sent our entire firm a photo of the “beautiful flowers” it was rather small and I counted 21 flowers. When I emailed customer service a photo their response was that they consider the greenery filler, which in this case was Eucalyptus, as stems. Quite deceiving and ZERO offer of a refund or credit. Their bouquets are gorgeous but much smaller than promised. We paid $90 for some Eucalyptus and 20 daisies. SERIOUSLY? Ariane, I am so sorry that happened to you. 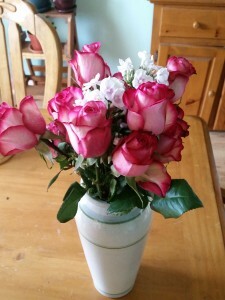 To be completely honest I have not used Bouqs again since I did the review. I don’t have anyone to send flowers to that lives far away and local flowers are easier to get. Thank you for your response!!! The flowers I received were dry, crusty and falling apart. Valentine’s Day was not good. Had to run and get a bouquet at my local grocery store the was half the price and better condition. Be aware. Stay away!! My niece is going to be graduating from high school this year. She’s worked so hard and I couldn’t be prouder. I’d love to surprise her with a fun flower bouquet. It was interesting to read that flower will last for about 9 days. I’ll keep this in mind if I order her some. Lucy, did you send your niece Bouqs? Congratulations to her on her graduation!! What a happy day!!! Roses are so pretty! I love them! Professionally arranged flowers form bouqs are so beautiful and fresh! Daisy Russel recently posted..Is it Okay to Send Flowers to Men?